Jump to the 1st millennium B.C. and the mighty Assyrian Empire. The palace reliefs reveal a warlike society in which the king reinforces order, as revealed in the famous Lion Hunt scenes. As he battles the lions, the king proves he is greater in power than the threatening beast and all that it represents. 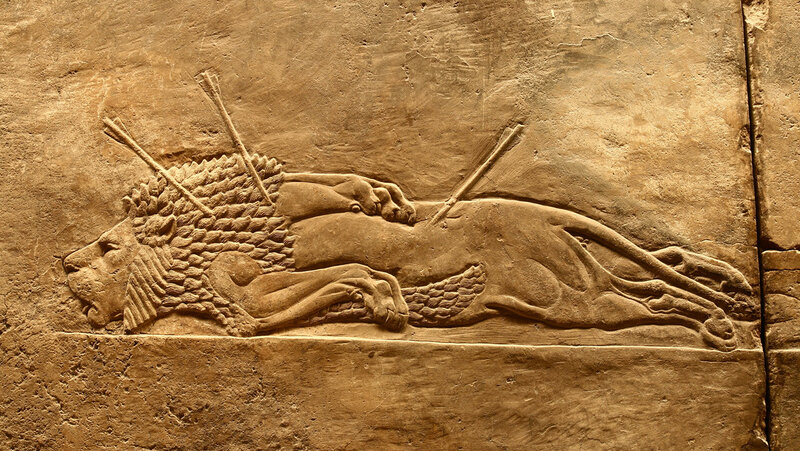 The reliefs demonstrate the apogee of artistic skill in the Assyrian court.